HEY Guys Are you searching for latest cheat to browse on your phone right now? 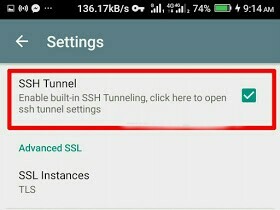 Search no more, there is a new MTN FREE BROWSING CHEAT 2018 blazing right now via KPN Tunnel Rev VPN app for Android devices. This cheat can also be used on your PC with the help of Pdanet or Tethernet apps. Interestingly, this cheat can be tweaked with HTTP Injector and some other tunneling apps which requires root access to work BUT KPN Tunnel Rev works on both rooted and non rooted Android devices. You will agree with me that this is not the first time we are enjoying MTN 0.00 cheat. In fact, back in 2016, I posted some working proxy servers for activating the tweak but they were later blocked by MTN. Now, this is 2018 and the cheat has resurrected in new dimension because this one is not unlimited. The cheat is capped at about 1GB on some sims while capped at about 2GB to 3GB daily on some other Sims. Follow below instructions to enjoy the new MTN Cheat 2018 before it gets blocked. ✔️ Apply default MTN APN settings. ✔ Now️ tap on Config options > tap Import and locate the KPN MTN 0.0k file. Just tap on it to import. ✔️ After that, tap on the three dashed icon and tick the SSH Tunnel box. ✔️ Then go back and tap Start to connect and the cheat will connect after few seconds. Remember this version of the cheat works on both rooted and non rooted Android devices as well as windows PC. With this, you will be able to use your VPN cheat on PC without any other special settings on your PC or web browser. Note that the above process is usually for rooted phones.